Happy Navarathri to all my readers and friends. We prepare different types of sundal, pongal,payasam, rice , puttu etc as Neivedyam for each day during the Navarathri. 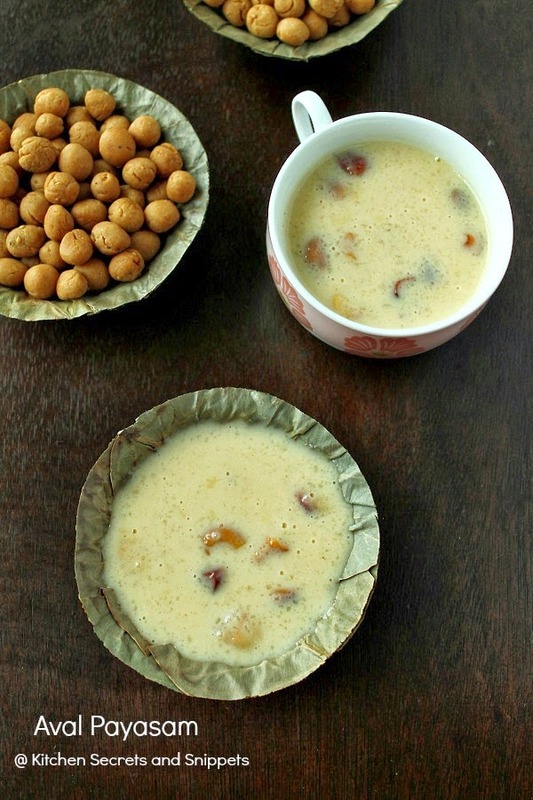 This is just a simple kheer one may find it easy to prepare within 15 minutes. Heat a pan with little ghee and fry the cashews until it turns crispy, drain and set aside. next add in the raisins and fry till they puff up fully. Drain and set aside. In the same pan add the remaining ghee and fry the flattened rice flakes for few seconds and let them cool. Add them in a mixer jar and whip for 2 times. If the poha is thin, u may skip this step. In the same pan add the milk. Let them boil for 5 minutes so that it reduces little. Now add in the condensed milk and mix well. Further boil the milk for 3 minutes on a low flame. Then add in the sugar and mix well. Now add in the slightly crushed Poha into the payasam, followed by raisins and cashews. Boil for a minute. Throw in the cardamom powder and mix well. Switch off . 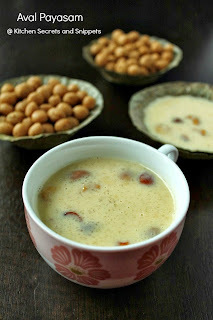 wow.. such a yummy payasam!!! Such a droolworthy dish, cant ask more. I want a huge bowl of this delicious payasam.